I absolutely love having fresh flowers around our house but I find that they die all too fast and our fur babies seem to think they make a good snack. Faux flowers on the other hand…success! I found this super cute DIY on Pinterest and decided to give it a go. I’m so pleased with the results and I can’t believe how easy this was. Let’s jump on into it! 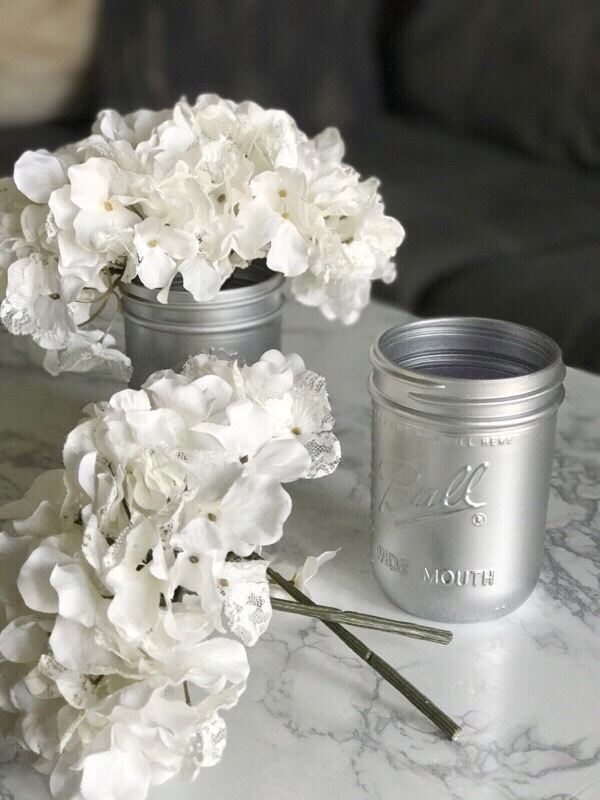 Spray paint your mason jar in a well ventilated space, preferably outside. Once dry, you can assemble by pouring the air freshener inside the jar. 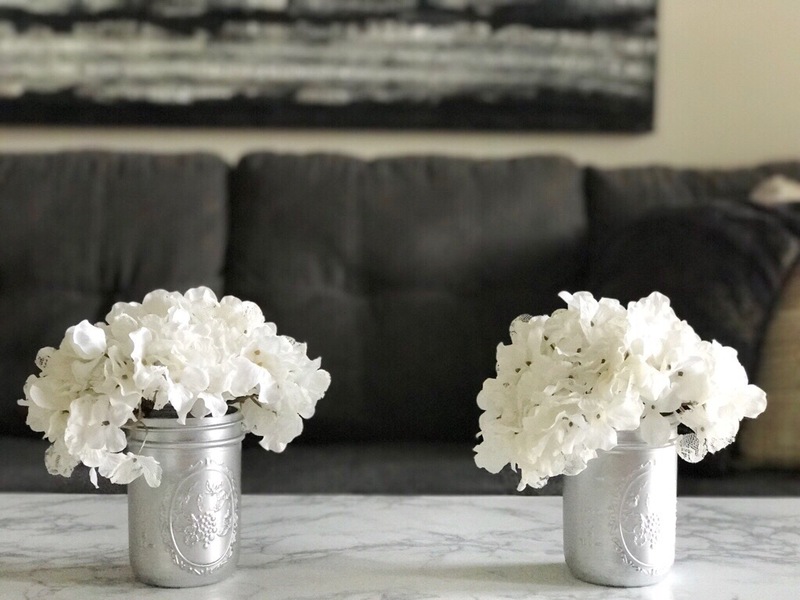 Trim your faux flowers to the desired height and place inside. 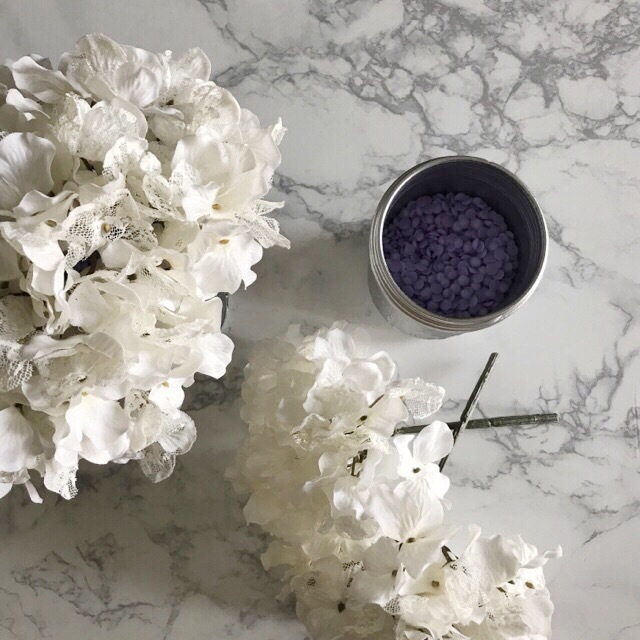 Switch out your air freshener whenever you want a fresh scent or when they begin losing their potency. I love the versatility of this DIY. 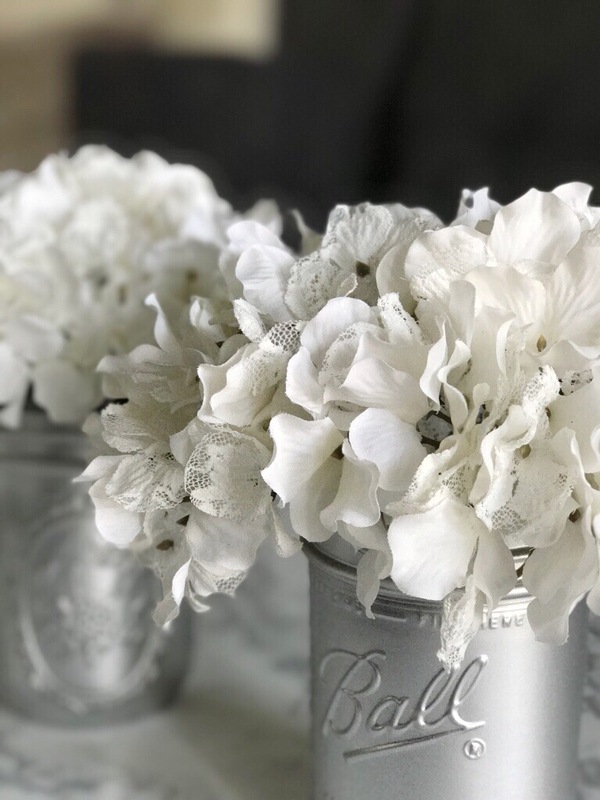 Depending on the time of year or your décor tastes, you can change out the air fresheners, flowers, or re-paint your mason jars. You can stretch this cute DIY all year round by using thematic elements. I love that and I especially love the look of having beautiful flowers year round. Leave me a comment below and let me know if you plan to do this DIY!